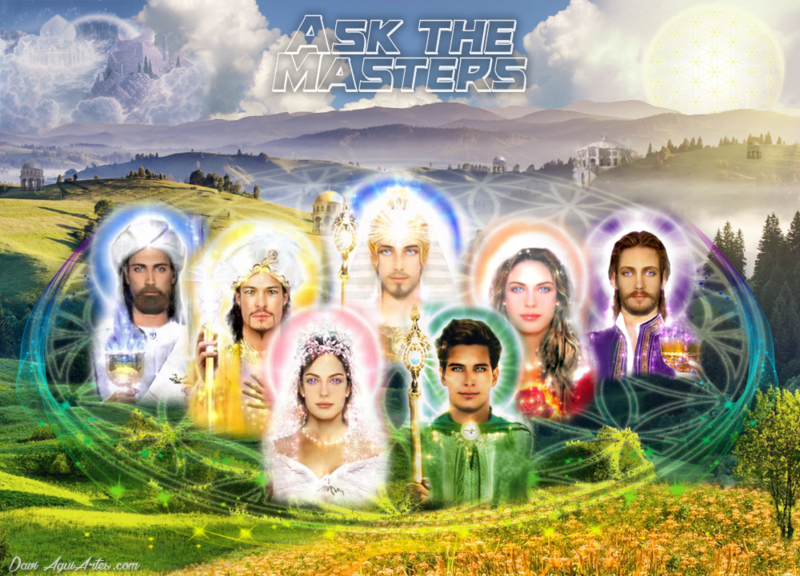 * To submit a question to the Masters, go to the website: http://peaceandtransformation.blogspot.com/ and fill out the form on the right side of the homepage. The form remains available only on Mondays. Almost three years ago I was diagnosed with cancer and even in this extreme situation, I am obliged to thank because I discovered it early. The treatment had no side effects like most, perhaps for having done some alternative treatments as well, such as spiritual and other surgeries that I had access to and a lot of family and high support. But since then, I have seen my professional effectiveness, especially financial results, become very compromised. Meditating, I came to think that the disease had left me shaken as to my merit, for it creates much that everything was resolved, even at the last minute. I like what I do, because I have been able to find a way that has allowed me to stay connected to Music, since with age, work opportunities tend to be limited. I have already made affirmations, I try to ask and I believe that I allow the aid of Spirituality, but even if I act with ethics and try to be correct, I continue to face the financial shortage, even putting myself in a situation of grave risk for myself and for others in a little initiative The more daring in which I launched myself, especially in the face of lack of word, and extreme greed of people. Some people close by ask if I should not change branches. I have come to question myself, for it seems that in this field, those who adopt old damnable practices take a lot of advantage, but I see no other activity that resonates with the joy Music gives me, even off-stage. I ask for guidance, because although I have simple habits, this situation led me to not be able to honor accounts and had to rely on the help of family and a friend who surprised me with their detachment. I am very concerned about being able to return these values ​​soon so as not to disappoint them and recover the natural flow soon enough so that I do not feel ashamed. I also worry about the cause of my illness, because I think I have always taken care of myself. Despite the way I live, I do not use drugs and drink very little and I was already eating, not eating meat. I do not want to give a chance of relapse. I also have a hard time finding a mate. Even though I consider myself to be a kind-hearted person, I have already gone through the phase of thinking that I have been wronged, but it would help to understand the reasons for everything that afflicts me, to correct me and to be happy. I am grateful if you can receive an objective and straightforward orientation, so I prefer not to leave room for avoidance. Brother of light and love. I bring the message straight to you, as you asked. That you're headed in the way of your heart. You see, my brother, how happy are you now? Happier than before? Do you realize how much, in spite of your happiness, you are afraid to move on? Brother, some paths remain closed, or the doors remain half closed, when we do not open ourselves to the new completely and give ourselves entirely. We are always imagining what it would be like if we followed that path or another. And although you have been guided very directly by the path that will bring your happiness, it still feeds some insecurity within. And this is releasing the flow of energy. You, my dear brother, have great sensitivity to what your freedom can provide. The fact that you have remained for so long in your life closed to your true purpose is what caused your cancer, the calcification of the feelings that are attached to your soul purpose. That purpose to which you were guided now, from the cleansing of this process of accumulation of energy contrary to its true nature. Cancer was only a reaction from your body to something you did that was not aligned with what you set out to do when you started the journey. It was a positive thing, my brother, because it took him from the opposite flow and brought him to his true purpose. What we do with love is what makes us truly complete, open to all possibilities of abundance. Abundance of financial resources, abundance of good relationships, happiness and love. Be open and without fear of your way. Keep following with the heart, but this time, my friend, without creating cumulative energies contrary to what is truly here to do. Do with love, give yourself to your true purpose, without fear. For fear blocks the flow of energy that leads to abundance. I believe that I have been able to be completely clear to my brother, without blunt or half words. You are in the flow of love, but with small points blocked from fear and insecurity, but now you know that you must clean to follow abundantly. Be enveloped in the light of Divine love and abundance. Dear Masters, a few years ago my mother had taken me to a medium who channels a being of light. So far so good, but then he told us that one of my missions was to be political, but that makes me a little disturbed. Sometimes it disturbs me in the decisions of my life, for example, an opportunity arises and I think "but that's not what that being said to me ..." That kind of thing, I would like a direction for you. Gratitude. To know what your true purpose is, you must follow the call of your heart. Often, some beings of light access timelines and parallel realities that sometimes end up not materializing in matter, as we can observe. Many decisions, not only our own, but planetary decisions, of the family, or of our environment, influence in a certain way the events, since we live in parallel realities linked to our timeline. Some beings access information linked to specific points in the timeline of some people, and pass the information as it is to the present time, but dear, beings of higher dimensions, or of dimensions simply different from those you live, do not live in the same Time / space. Time is counted differently; I'll put it like this for you to understand better. But this does not mean that this fact can not materialize, but rather, that at some point may have been planned in your incarnational experience to bring you some learning, this learning that may have been transmuted with other actions on your part, and this is Very positive. Do not worry about this information, son. For they will bring only confusion and change of their true purpose. Let life happen naturally, following only your heart to take the paths you desire, and trusting that the best experiences will be brought when you open your heart to the present and the future. Often, information such as this can divert your path, and even away from you or anticipate facts, which can compromise to make it happen at the right time. Trust and release, my dear brother. You need to have mind that every future event is a potential in time, as it has not yet materialized. Your temporal lines can change because you are creating them in that now according to your soul plan. It's all a matter of son MRI. Than it attracts your life. When that potential of being political was brought it was a probability and still is. But it does not mean that he is the only one in his life, because the temporal lines are all the time recreating. All the predictions made by mediums are through this method. Accessing possible future timelines that have not yet occurred can be modified. So always look at your heart. See what it brings you and create the life you crave from the pull of what resonates. You are beginning the process of "listening to your conscience." When you wake up with these thoughts, meditate for a moment. And, relax, without pressing yourself, in the meditative state of the mind, write down what you remember. The pieces, what the consciousness brings to you. Do not cover yourself, do not force any process, but let it flow naturally. Even if at the beginning you are only words without connections, or pieces of unfinished thoughts, write down and calmly understand what it is. Hello - my thanks for this work. I would like to know about the Masters, because all my life (now 61 years of age) I lived with financial shortages. I've never been able to build an estate. I feel that I have always had a good spiritual shelter because even in the most difficult situations of my life, there was always a way to have money to feed and keep my roof - but money is always limited. I have never been able to do what I wanted to do because to live on Planet Earth money is what gives us the possibility of going and coming. I need a roof of my own so I do not depend on rent that is too expensive - why can not I get the conditions for it? As for friendships, they are also fragile and people always need me and I can not count on anyone - is this normal? What can I do to reverse this situation? I am a spiritualist and my religion is love! So, with love, I say goodbye and thank you. Beloved sister, I am here today bringing to you the truth that will bring about your deliverance. Because you're all believing an illusion, my dear. I come to remove the veils that have built around you and that will be removed in the pink flame of love. I'm Master Rowena. I bring you dear sister, the opportunity to realize for a moment, enveloped in the energy of love, your true mission. Honey, you've been looking for something that was not true. He sought an illusion. Material money is just a form of energy, necessary for you to live on this planet. But dear, it can often cause feelings of loss, fear, illusion if not treated that way, as just a form of energy. That energy, which is here only for you to live your experience on Earth. You have already completed much of your incarnation, and can bring to you the energy of gratitude, of love of money having been a part of your life, but not abundantly, and also not scarcely, or you would not be here at that moment. If you are here my beloved, it is a good sign that you have completed a good part of your mission. Mission that will free your heart from the fear of scarcity. For what really seeks to complete itself in abundance is love. Love has always been present my dear, but it has been searching for something that was illusory, the money, the illusory abundance that it brings. And also the belief that many of you have that you could not be happy without this abundance of money energy. You are wrong, daughter, to think that this was the energy you sought all along. This energy was only there so that he could pass through it and discover that, filling his heart with love, he would leave all this feeling of insecurity, fear of lack, behind. Receive the abundance of love. Give yourself to love. Be grateful to be here and to always have enough to walk that beautiful learning experience you set out in this incarnation. I love you daughter, and you can call me to anchor love in your heart. The year 2016 was difficult and exhausting for me. It was as if I had fallen as a person. I have had failures in both my affective and professional life. I got sick and I was so out of my mind that I thought about giving up my current job and breaking up with a lot of people. I feel that I no longer want to be part of that environment. I feel that the environment and the people I live with at work and in the neighborhood are harmful to me. I want to break with those energies that cause me so much dismay, but I do not know where to start. Even when I'm at home it's difficult to feel peace because the neighbors torment with clutter and disorder and it makes me very angry and tired. I would like guidance to understand where I am going wrong and why these situations and people keep repeating themselves in my life because I want a better life and environment to live because if I continue in this kind of life and environment that I have today I will not be able to. I am Master Pórtia and come with the violet flame of Transmutation to assist her in this deep cleansing process which she is initiating. Honey, notice how much you are repeating certain behaviors, looking from the inside view. When you look at your inner and not at the external, my beloved. You begin to understand that so many people can live in harmony and joy in the same environments that you can not, dearest beloved. There is nothing wrong with that, my daughter, you are just going through the deep process of purification. This process occurs when we begin to realize that we can no longer live with ourselves. When our behaviors and feelings do not make us happy. Darling, you just need, for the process to begin, to look within, to realize that there is nothing wrong from the outside. When you feel uncomfortable in the environment where you are, notice that there is something wrong within you that attracts these feelings to yourself. These energies that bother you, my dear, are reluctant to leave your inner, outer side. They can not stand to be kept in there, living in the mask they created of being a being of light and peace and seeking peace. But it cultivates the imbalance within itself. Beloved, there is no mistake in that, it is part of the process of purification, which will bring tears to you, but with every tear you shed, it is a clean process of acceptance of yourself. What is there to be judged, my dear? Anything. Absolutely nothing. Accept yourself as you are. If you feel bothered in times or places, then welcome that feeling, look inside. Do not try to mask it, my beloved, by building a protective shield that divides your mind from your heart. Allow your mind to be guided by your heart. Realize that what you feel is nothing more than mental processes because there is a disconnection. The disconnection will now be restored, when you begin to look within yourself. This process is profound and transformative. This is when the journey of purification begins, the one that was proposed before arriving here, at that moment. So thank for the process that starts now and anchor the violet flame within each cleansing process as it happens, one by one. Until it can receive the inner light and shine as seed of light, as is its nature. Remove everything that bothers you from within, my dear. Only then is there to be cleaned and changed. Be wrapped and protected in the violet flame. Thank you for your work! I wonder if what I feel is true. I get communications from a Star Commander. Can I trust? Thank you. Keep in mind that your true purpose is the clean and pure connection with your Higher Self. During the process of raising awareness and purification, you will go through various levels of communication, of parallel dimensions and realities. One is communication with beings from other planets, stellar commanders. But keep in mind that you should not focus on the unique process of communicating with a being, but with your evolution, with the learning received from that communication. Always focus on your inner elevation. And so there will be no doubts and errors in this walk. A warm hug from your brother Ashtar Sheran. Messengers: Thiago Strapasson and Michele Martini - January 2017.